Two people have been shot dead outside a branch of the UBS bank in the otherwise boring and extremely quiet Swiss financial capital of Zurich, the local police said according to BBC. 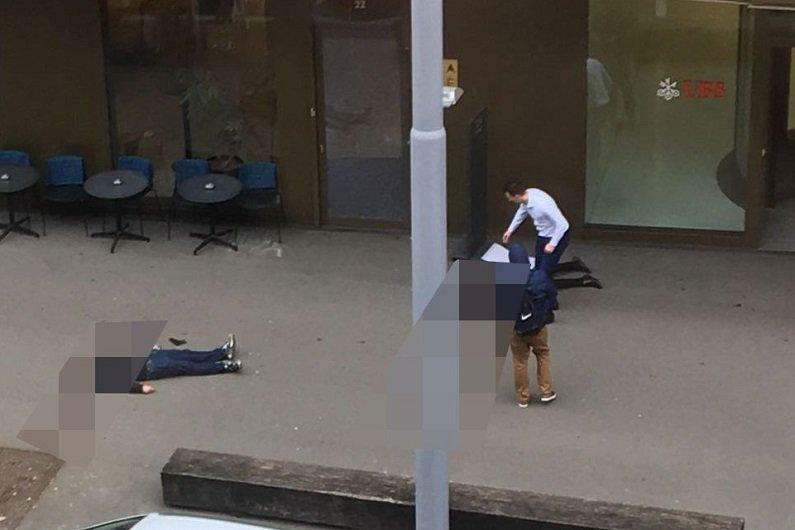 Images distributed by the Swiss press showed two bodies lying motionless, close together on a pavement, with eyewitnesses reporting four or five shots being fired. The media images showed what appeared to be a pistol close to the hand of one of the bodies on the pavement. Authorities told local media they were responding to an incident in downtown Zurich, near the Swiss financial hub's main train station. Eyewitnesses suggest a number of shots were fired during the incident. It is also not clear whether the police have apprehended the shooter, but there is a heavy police presence at the scene in the Europaallee area. Zurich police said the situation was now under control and that there was no danger to the public. It still isn't clear why the attack happened. Police said there is no indication that it is tied to terrorism. Police also confirmed in a tweet that the incident had happened on Lagerstrasse, a road running right through the centre of Zurich. The area will remain closed off until further notice and a range of police are on the scene, the tweet said.